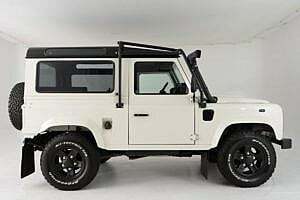 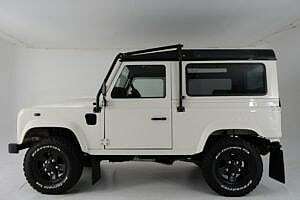 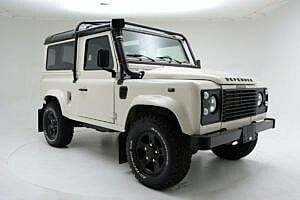 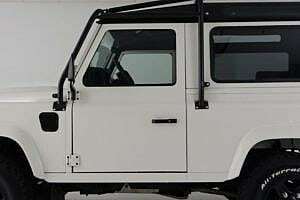 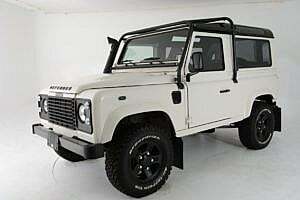 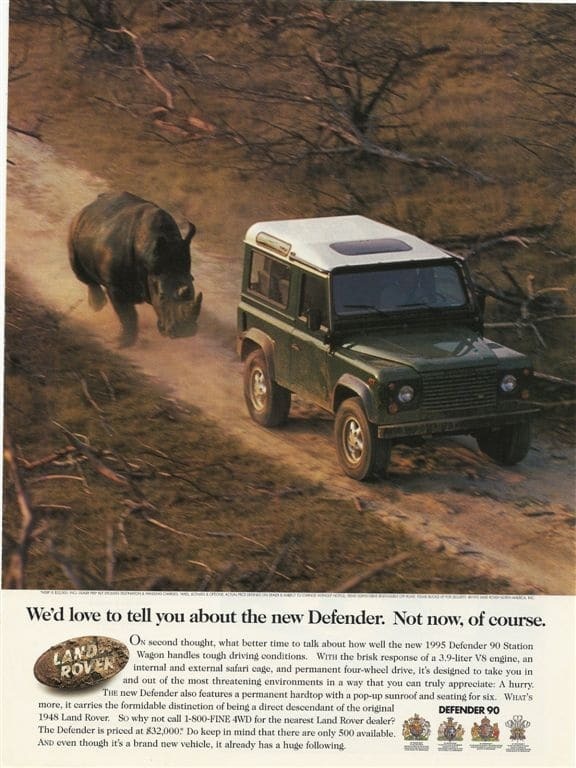 The first Land Rover 110 (or One Ten) rolled off the line in 1983, followed one year later by the 90 (Ninety). It was the successor to the popular Series run (I, II, III). The biggest improvement was roll-up windows versus sliding glass panels so the bar was pretty low to begin with. 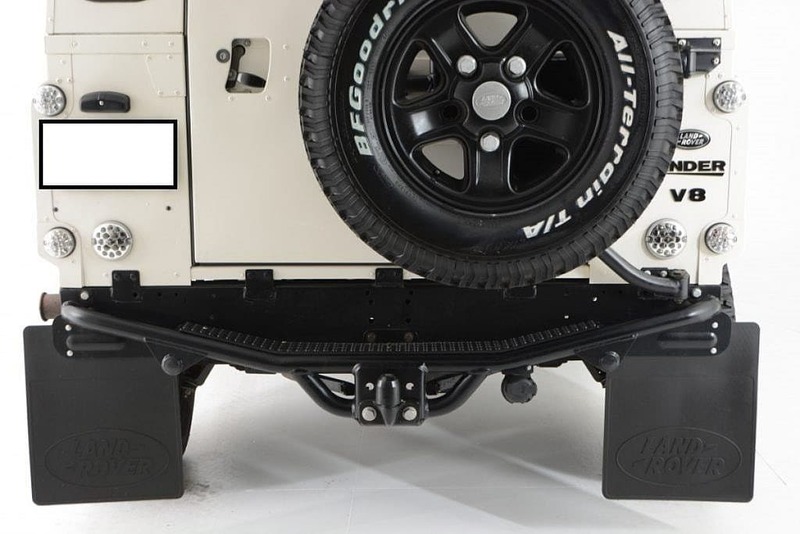 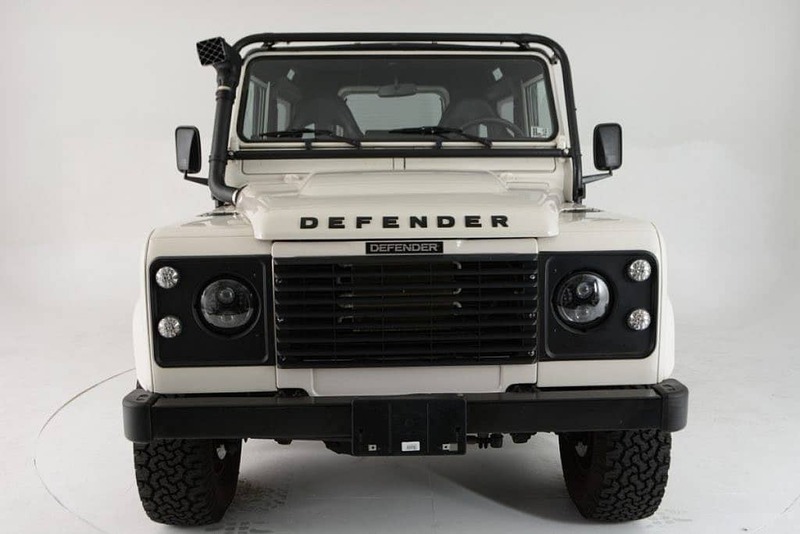 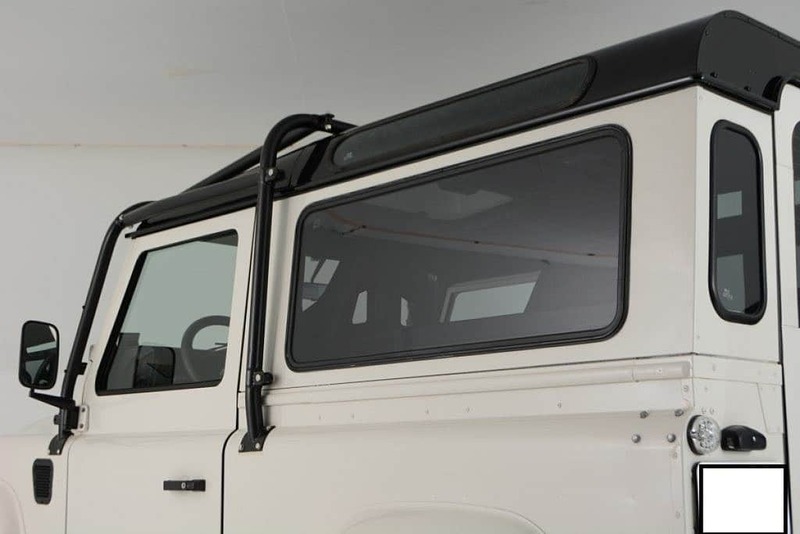 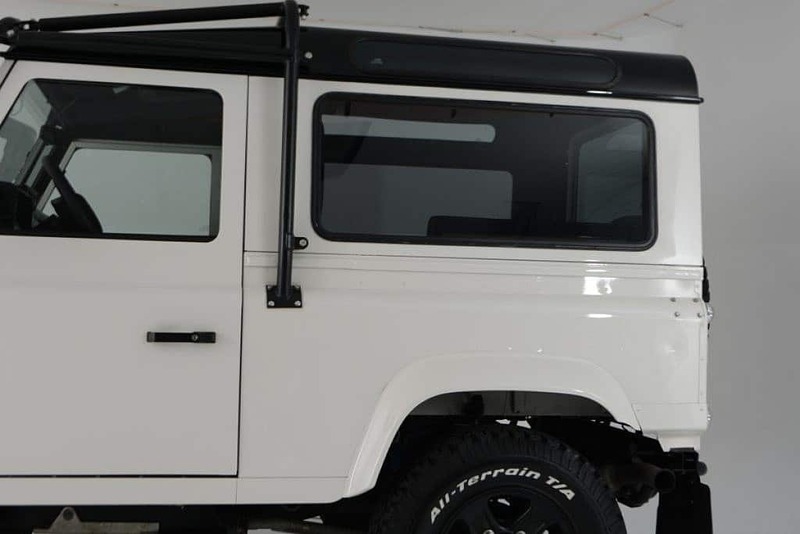 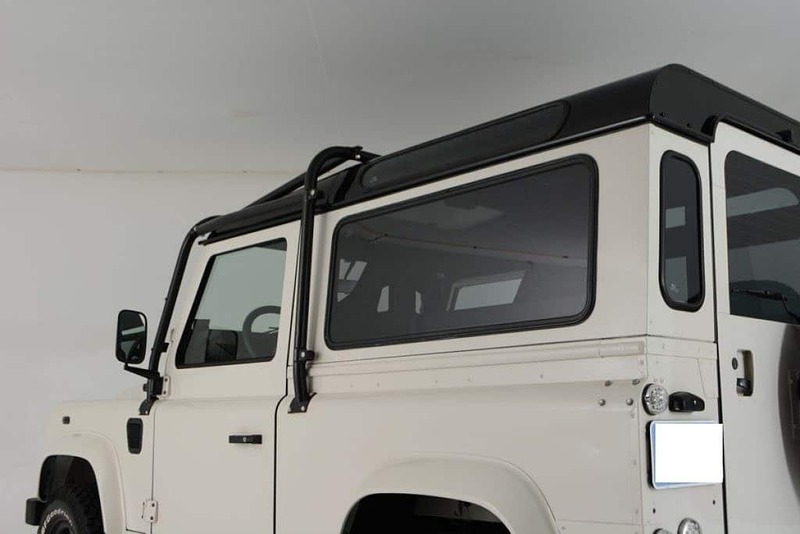 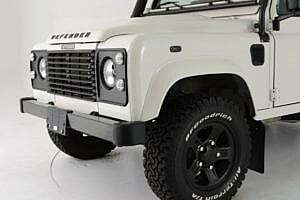 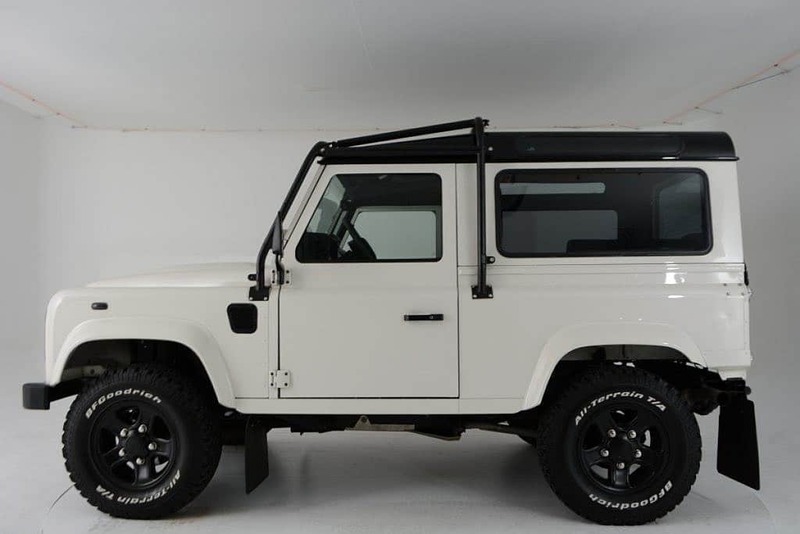 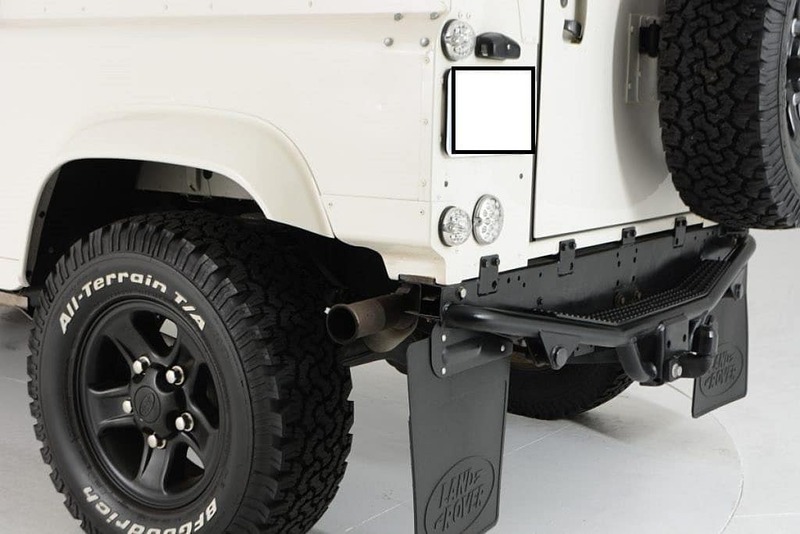 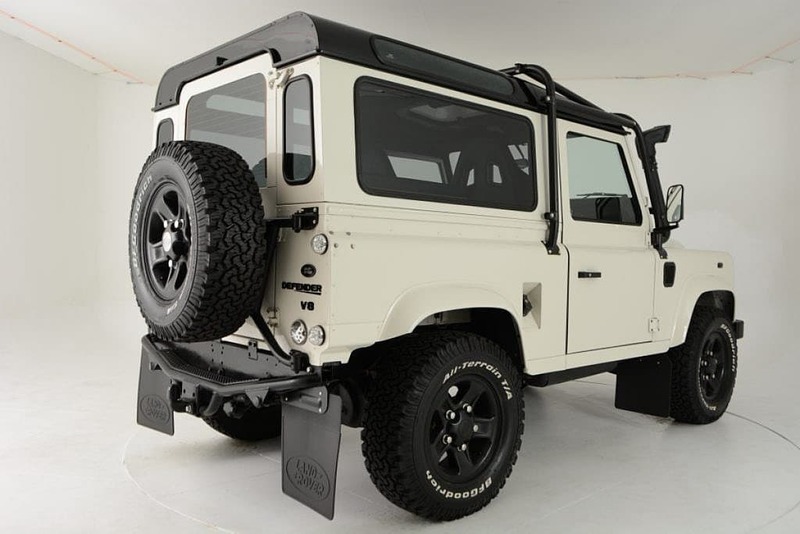 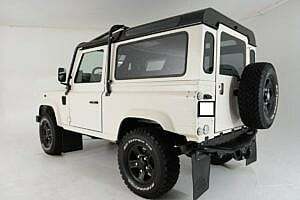 The actual “Defender” moniker wasn’t used for another 7 years, when in 1991 Land Rover added the ‘Defender’ name to distinguish it from the incoming Discovery. 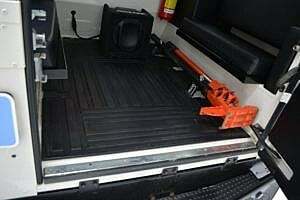 The imported trucks come from the rest of the world, and so, are cleverly named ROW trucks. 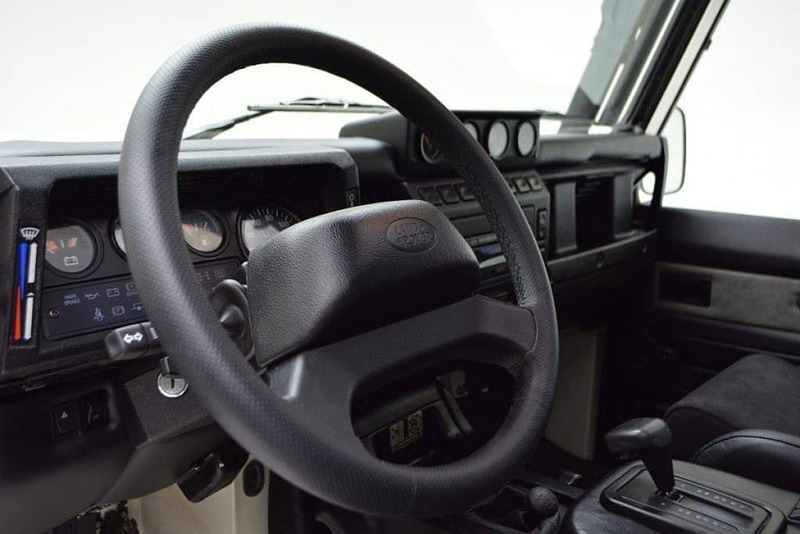 In America, we can currently import trucks up through 1993 (based on build month). 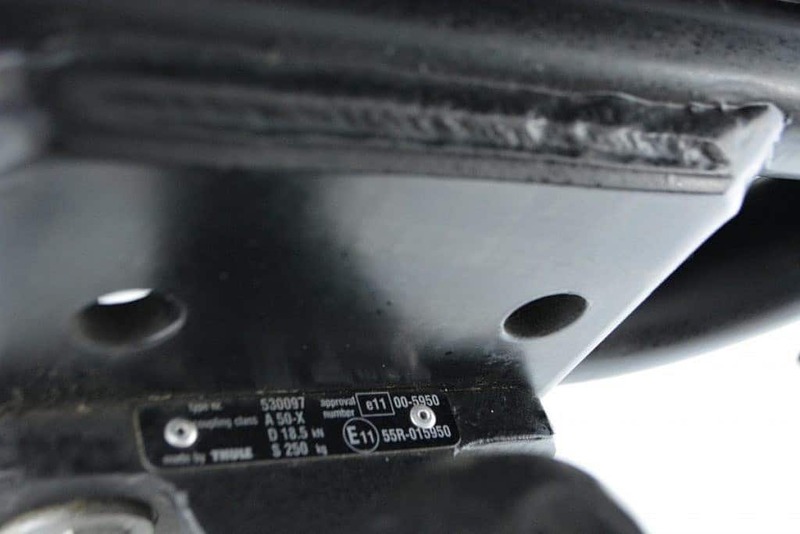 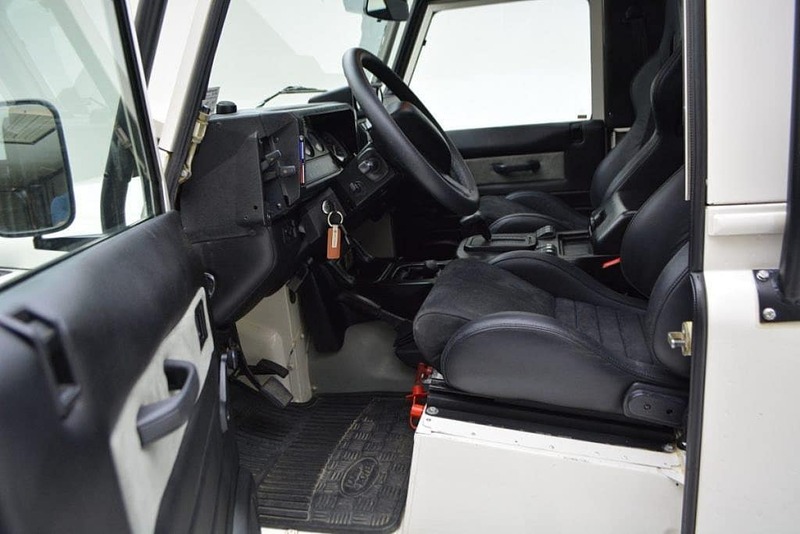 You can only compare ROW and NAS trucks fairly for years 1993-1997, that’s when NAS trucks were allowed in to the U.S. During that time, NAS trucks do have some slight differences that extend beyond the badging. The biggest differences are NAS trucks do not have bulkheads behind the front seats, and are equipped with some extra safety devices like internally fitted roll cages. 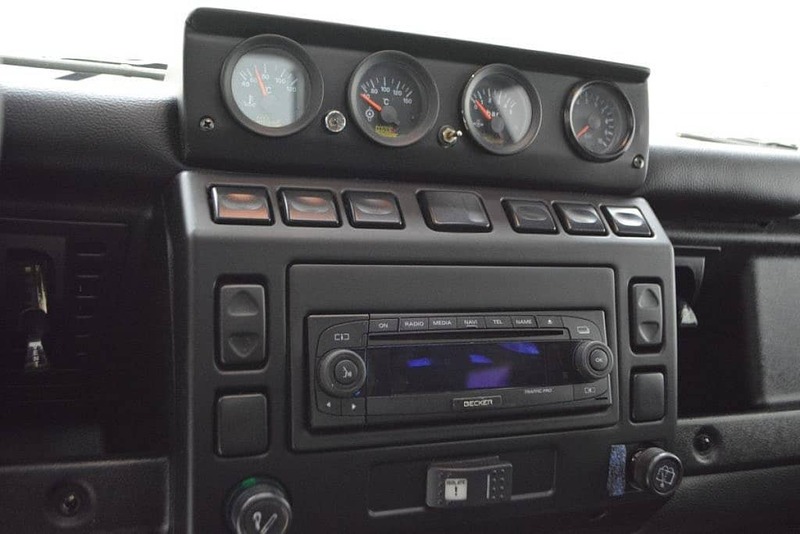 Today we present to you a rest of world 1991 Land Rover Defender 90 that underwent a refresh / upgrade approximately 2 years ago (note: title shows 1992 as the model year, often titles will show the year/date it was first registered). 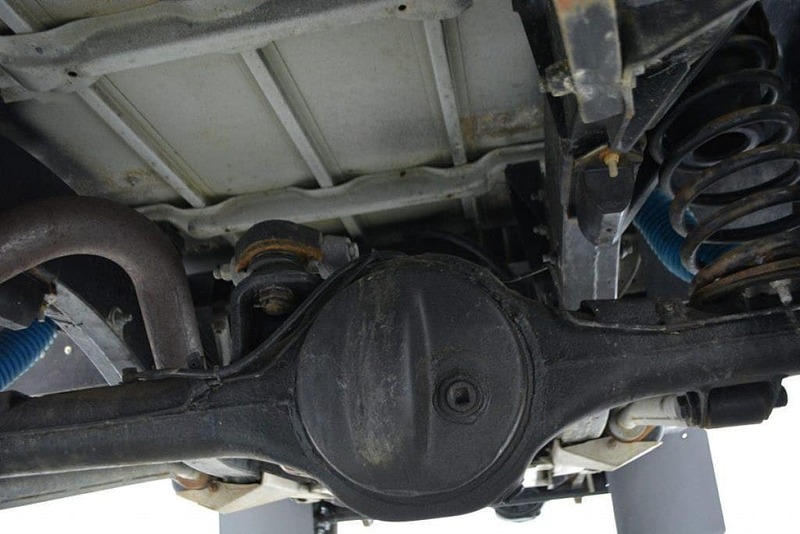  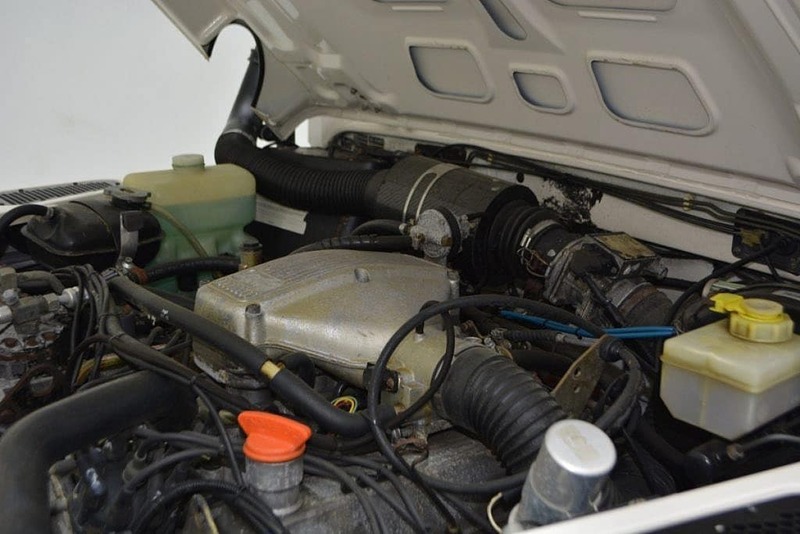 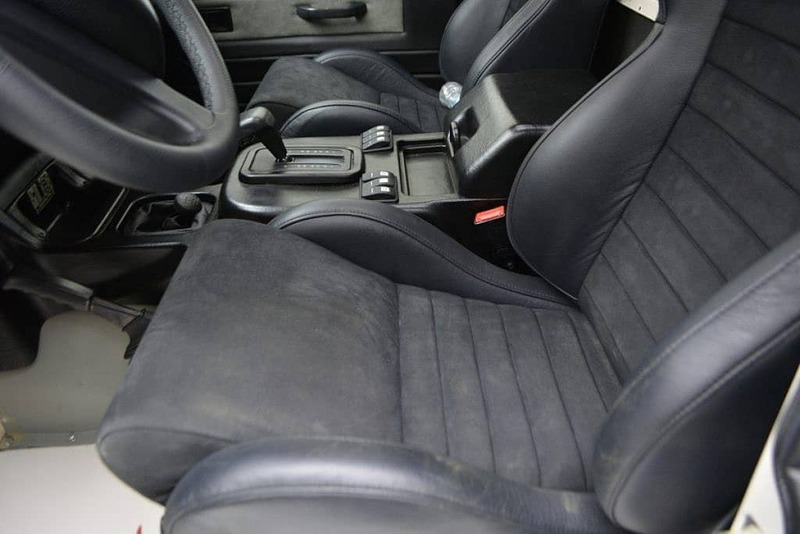 The seller recently acquired the vehicle on a trade for a Gelandewagon, and therefore does not have records or extensive knowledge of the refurbish. It appears the new paint is most likely the newer Fuji White as opposed to an Alpine White but that is purely a guess on our part. 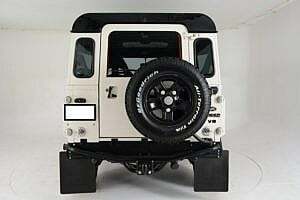 We do know that a Borla exhaust was added, Bilstein suspension components, LED lighting all around, alloy rear control arms, Sparco seats, ARB front and rear lockers with an ARB compressor and tank, snorkel and a 1/2 exo roll cage up front. 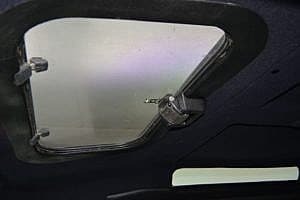 This one ships from PA and the seller has provided us with over 40+ pictures inside/outside and underneath for your review. The exterior appears to be in excellent condition. 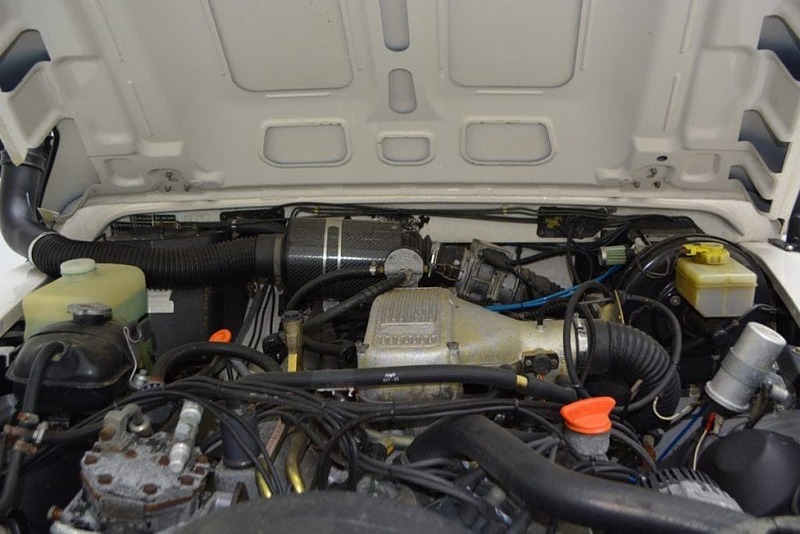 The seller reports that it recently underwent a refurbishing and believes that less than 10k miles are on the overhaul. 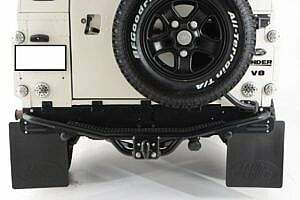 A swingout tire carrier was added, as were 5 nearly new BFG A/T tires on newly powder coated wheels. The fender flares are body matching color and all other accents including the roof received new black paint. 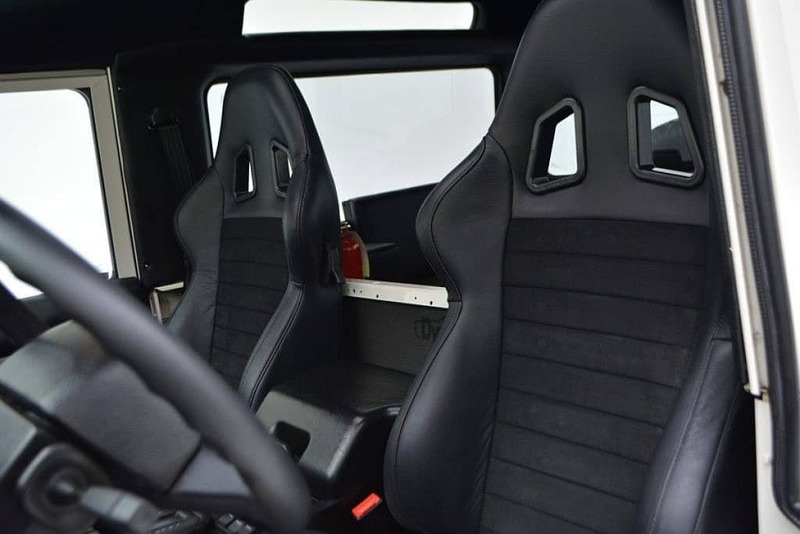 Inside, the front seats have been replaced with Sparco seats. 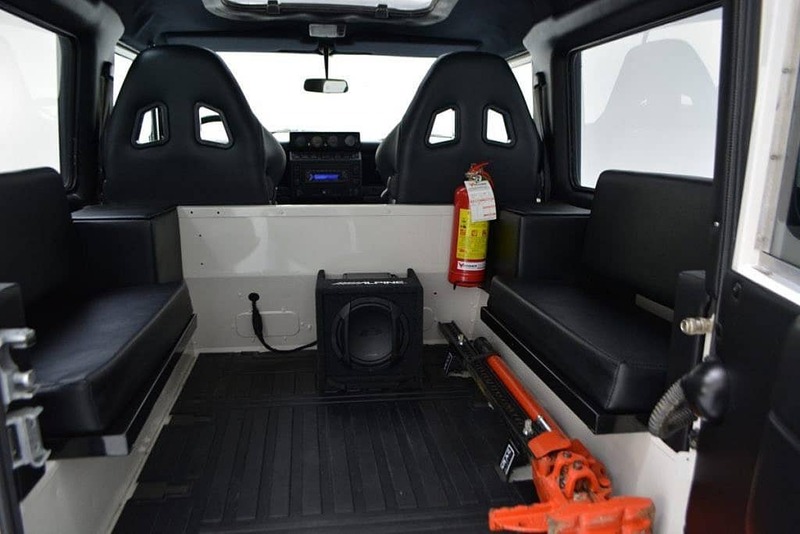 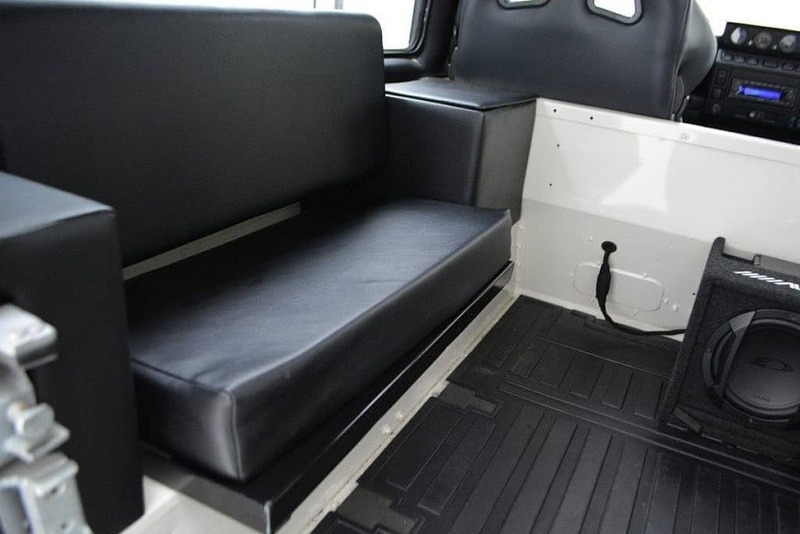 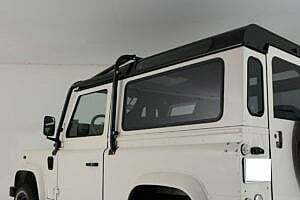 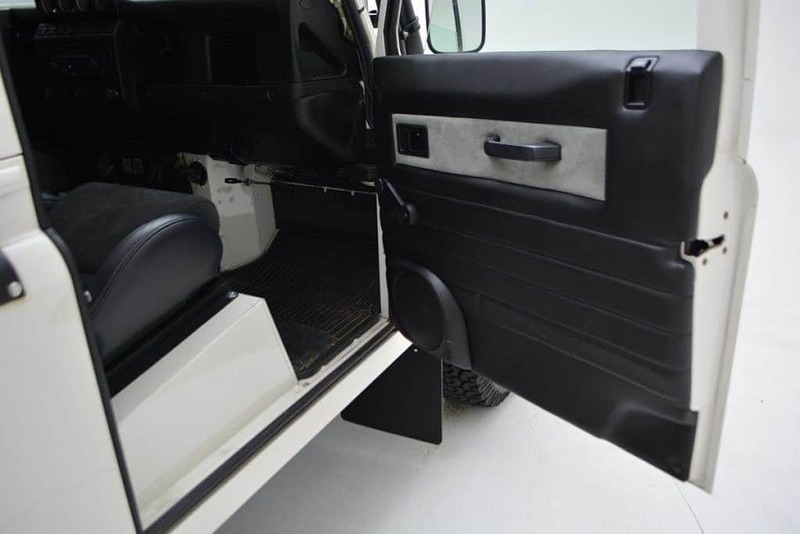 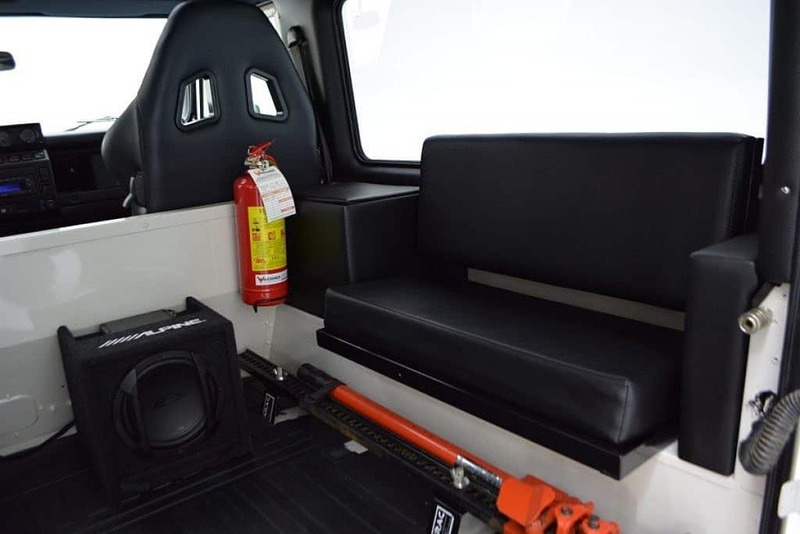 The rear cargo area is equipped with 2 full-length bench seats with side bolster padding. 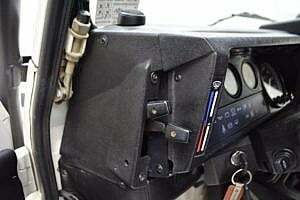 Up front, a Becker radio sits within a PUMA center dash module. 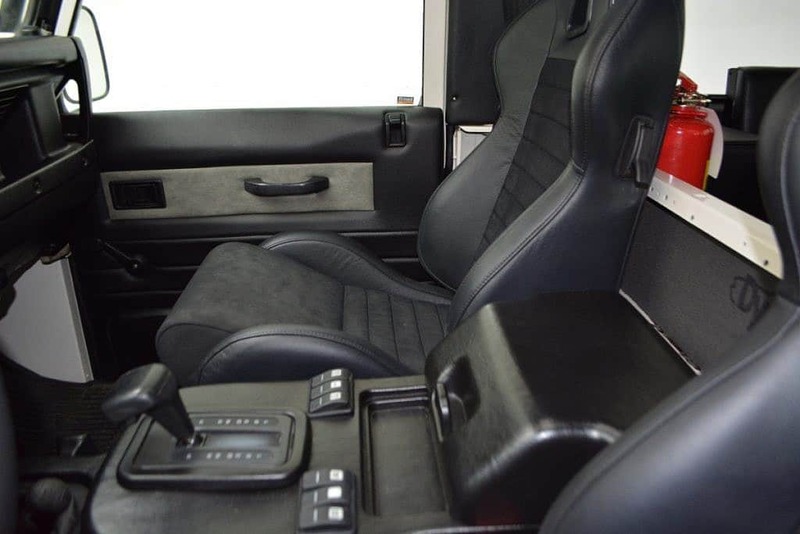 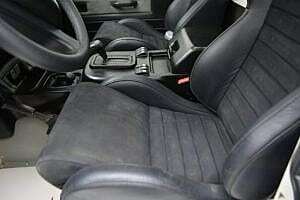 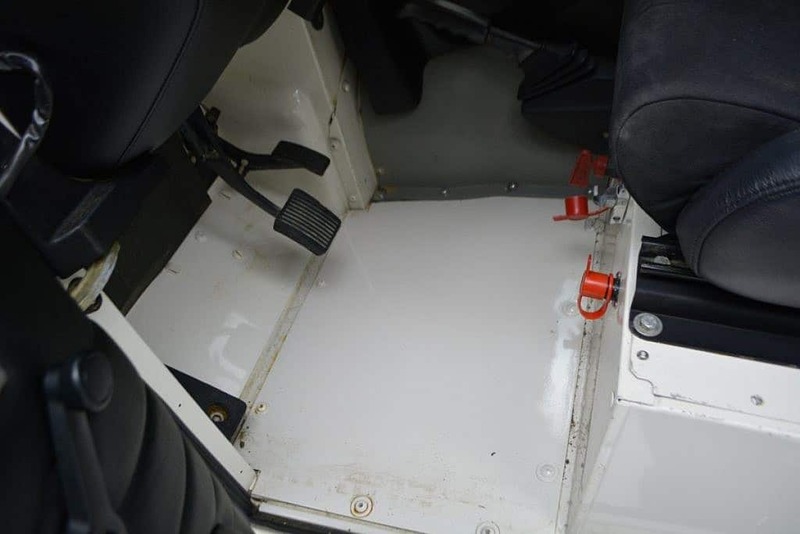 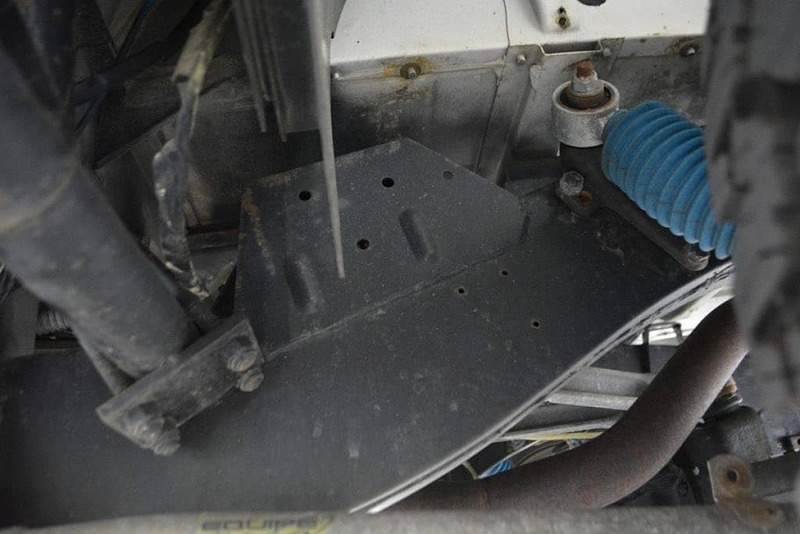 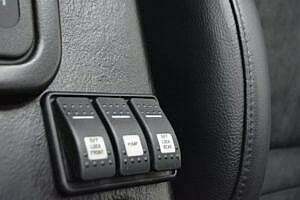 The center console area is standard and most notable is the auto box transformation, as most of these would have been manual transmission from the factory. 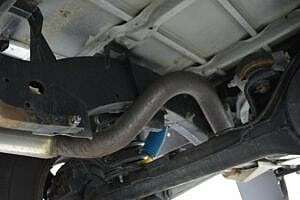 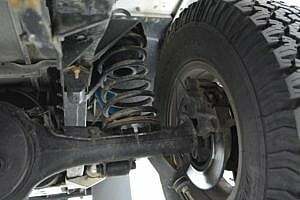 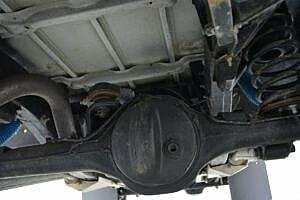 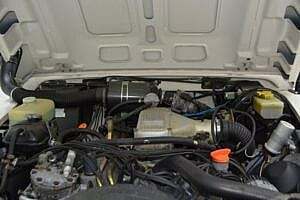 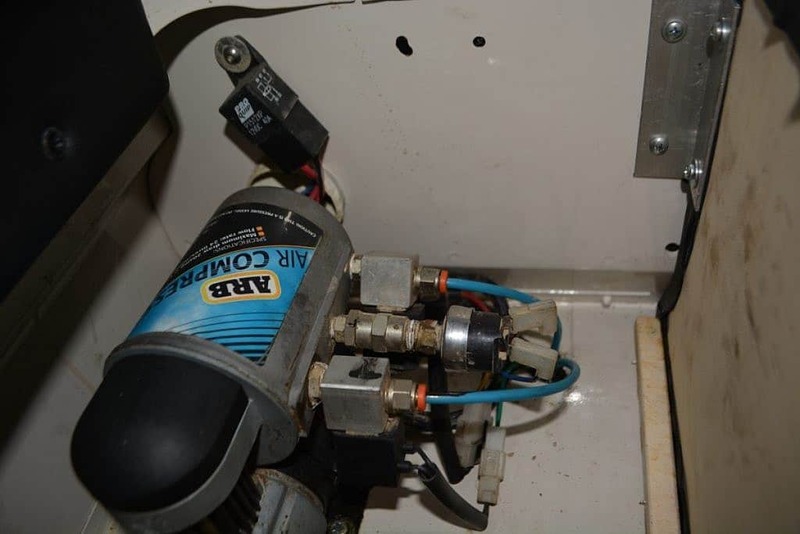 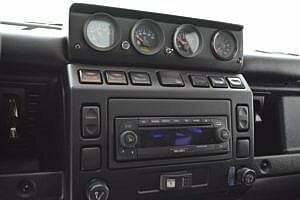 The drive-train is from a 4.2L Range Rover Classic and was mechanically gone through prior to installation. 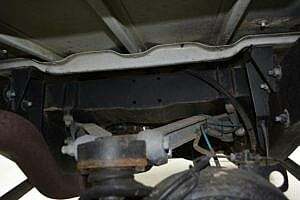 Underneath we see only light surface spotting in a few areas and on some bolt-heads. Nothing appears to be of any concern for needing attention now or in the foreseeable future. 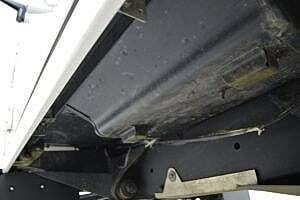 Rust is the #1 cause of premature death for Defenders and on this one, we see no worries of that. 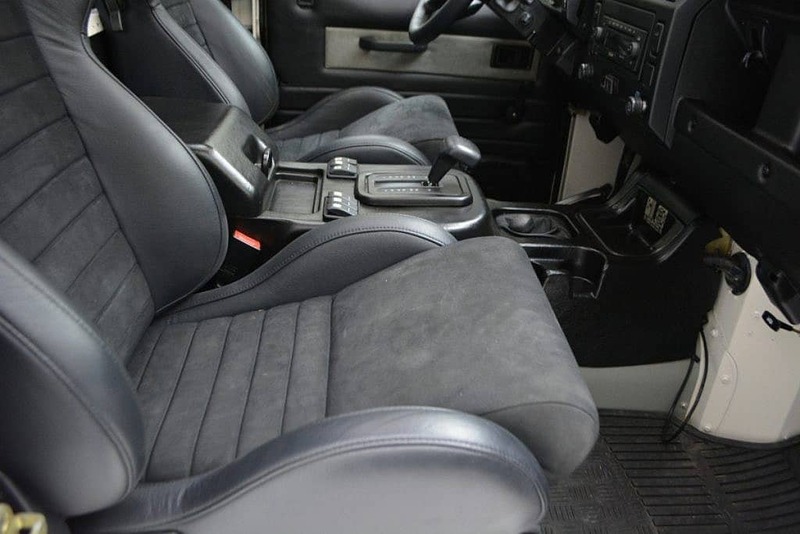 In a world where these trucks are selling for well over $60,000, we have negotiated a very reasonable reserve for what is seemingly a very nice example. It’s not overdone to any degree, presents quite nicely with just the right amount of upgrades. 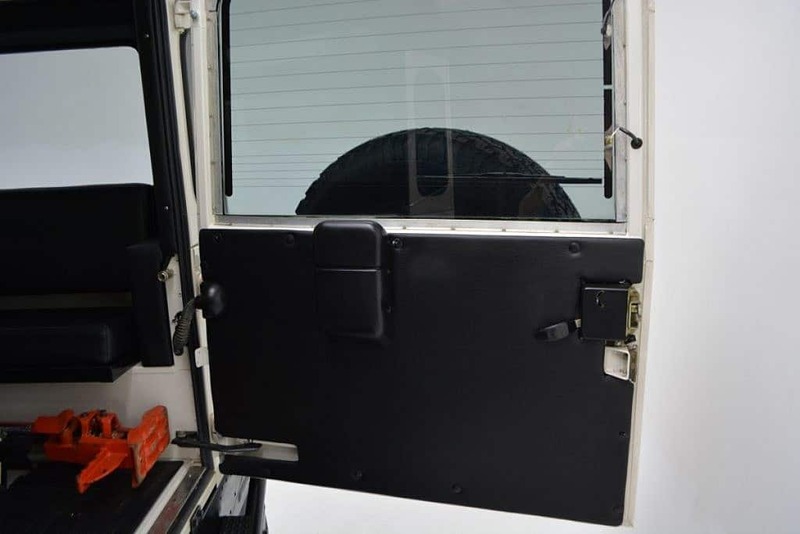 Air conditioning can be added to these, and typically costs around $3000. 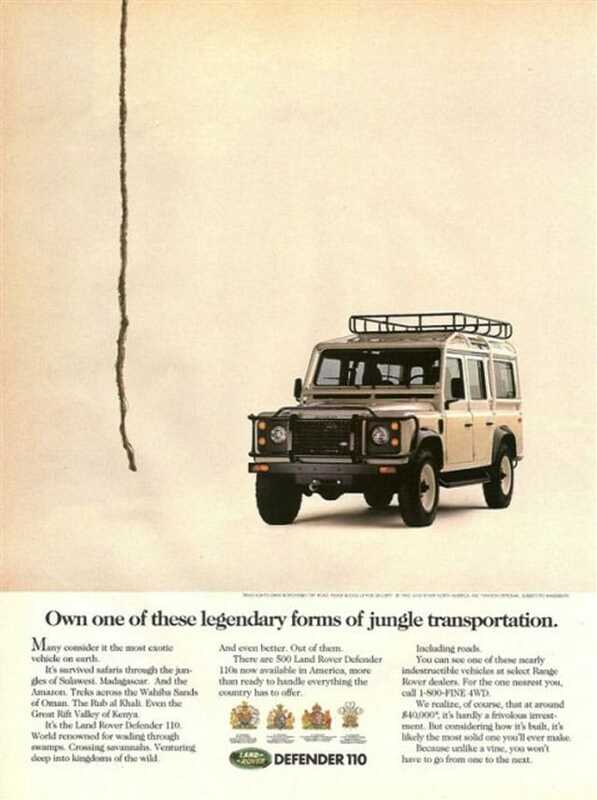 Is this one still available? Then bid $35000. Was this comment during this auction run? hi, i am interested but would buy it for $35,000, please let me know if this works for you? 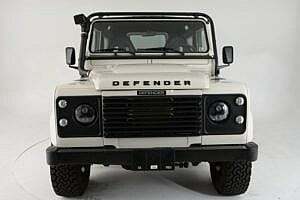 Contact me about this auction. 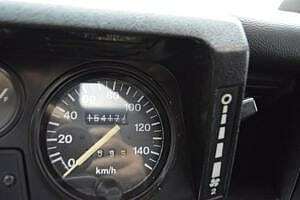 I can go higher than my bid, I just missed it because I was at work.